If you are looking for high quality kiln dried logs Witney is on our regular delivery route. We also have many satisfied regular customers in villages surrounding Witney including Carterton, Ducklington, Aston, Bampton and Standlake. Our depot in Goosey near Faringdon provides kiln dried logs to all the villages between Lechlade and Oxford. All our logs are locally sourced sustainably managed hardwood. They are predominantly superior quality Ash and Beech, which burns clean and gives an extremely good heat output. 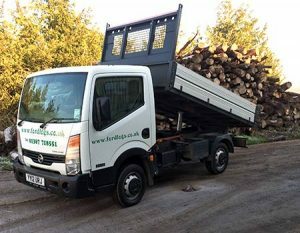 Our delivery costs for kiln dried logs Witney are competitive and our logs provide excellent value. We may be delivering in Witney and be able to combine deliveries so call us for details. Firewood is kiln dried using waste wood from the yard, then barn stored to keep it in optimum condition. Logs leave our yard no higher than 10 -15% moisture, so you are paying for wood, not water. The result is that our extremely competitively priced logs are more environmentally and economically efficient. By weight and by cost they will give you more heat and create less pollution than many other logs available on the market. Kiln Dried Logs Witney. For immediate delivery -ORDER NOW!